Congenital heart defects don’t fit the mold of seen-one-seen-them-all. “There are not only different kinds of heart defects, there are thousands of variants among the various types of heart defects. It’s not possible for anyone to have seen and know about them all,” says Arizona State University bioengineer David Frakes. That can make it difficult for medical professionals to ensure detection of all of the anatomical factors that could be afflicting patients. Frakes is attempting to help solve the problem with the aid of medical experts and ASU engineering students. The venture called Heart In Your Hand focuses on creating precise physical models replicating a range of anatomical conditions that can impair heart function. The models are designed to provide a guide for the diagnosis and treatment of congenital heart defects, coronary artery disease, heart failure, valvular heart disease and other cardiovascular malformations. 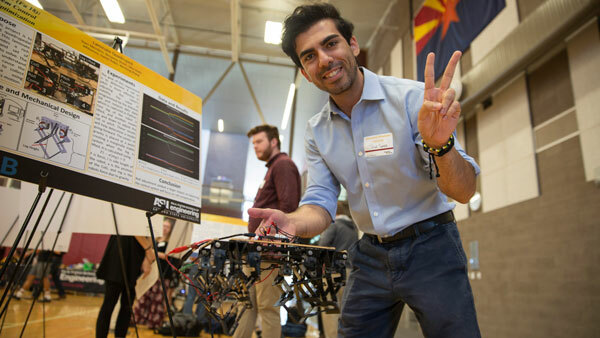 The project sprung from a senior-year capstone design project undertaken three years ago by ASU student Fariha Ejaz, who is now pursuing a doctorate in industrial engineering. She developed the basic concept for the heart-defect models. Megan Henriksen, who is studying for a master’s degree in bioengineering, took Ejaz’s work to the next step. 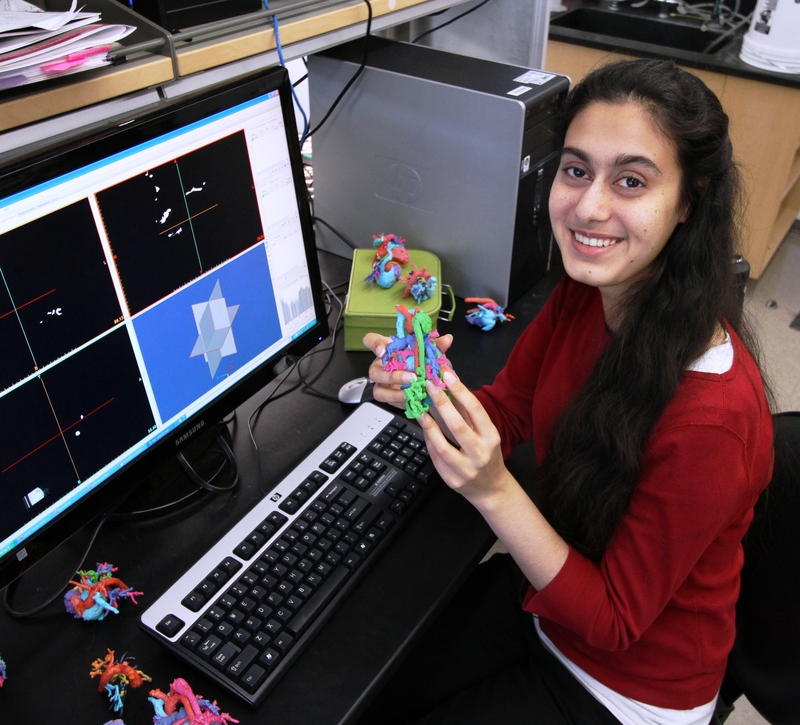 She began developing a library of models of congenital heart defects. Justin Ryan, a bioengineering doctoral student, has a degree in digital art from ASU’s Herberger Institute for Design and the Arts. He’s bringing his expertise in computer imaging and animation to the production of the heart models. 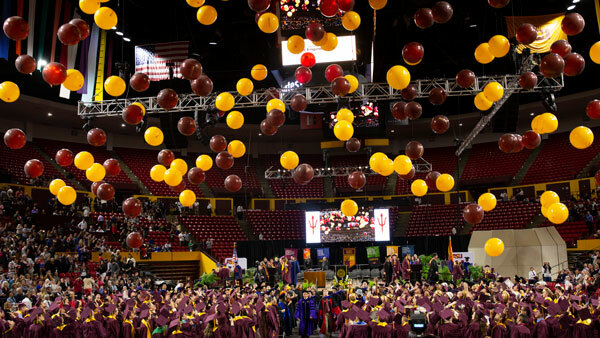 They’ve been working under the direction of Frakes, an assistant professor in the School of Biological and Health Systems Engineering and the School of Electrical, Computer and Energy Engineering, two of ASU’s Ira A. Fulton Schools of Engineering. Beyond making generic models, he and his students have been refining techniques for using medical images from computerized tomography (CT) and magnetic resonance imaging (MRI) scans to manufacture models of the hearts of individual patients, using color-coding to highlight defects and other significant anatomical conditions. “We want to put true-to-life heart models in physicians’ hands,” says Frakes, who also is a research scientist for the Keller Center of Imaging Innovation at Barrow Neurological Institute in Phoenix. The project was propelled forward after Frakes, Ejaz and Henriksen gave presentations about the heart models at medical conferences. Soon after, the heart models were being used at the UCLA Medical Center, Children’s Hospital of Pittsburgh, Phoenix Children’s Hospital and St. Joseph’s Hospital and Medical Center in Phoenix. “Surgeons are finding the detail and three-dimensionality that the physical models provide can have advantages over screen images of a heart, or drawings in a book,” Frakes says. In at least one case a physician altered his surgical strategy based on what a model depicting a patient’s condition showed him, “and probably saved that person hours in surgery,” Frakes says. “We’re finding medical students and engineering students are showing improved learning outcomes when using these models,” he adds. The project has also been driven by collaborators outside ASU, including Randy Richardson, the chief of radiology at St. Joseph’s Hospital. Richardson has been instrumental in organizing data and developing the color-coding scheme for Heart In Your Hand models, and making refinements to technical aspects of fashioning them. Phoenix Children’s Hospital nurse practitioner Michele Osborne, a nursing education specialist, is helping develop the models as a learning tool. Pediatric cardiothoracic surgeon John Nigro and Stephan Pophal, director of the Children’s Heart Center at Phoenix Children’s Hospital, have consulted with the Heart In Your Hand team on ways the models could be made more useful to various medical professionals. The ultimate goal is to develop a system to enable rapid modeling of individuals’ hearts. “The idea is to be able to have a patient scanned and then immediately use the data and images to manufacture a custom-made heart model, and get it to the surgeon the next day,” Frakes says. “We want to build a library of hundreds of heart models,” and eventually be able to supply medical institutions with smaller libraries of models depicting from 10 to 30 of the most common heart defects, he says. Frakes and his students, along with Richardson, Osborn and chief executive officer Ted Gladish, a business startup expert, are now principals in a company being formed to pursue those goals. The business arrangements are critical to developing the marketing, communications and distribution systems necessary for the science and engineering behind Heart In Your Hand to fulfill its potential, Frakes says.